Nucl. Phys. At. Energy 2016, volume 17, issue 1, pages 27-37. Received: 03.02.2016; Accepted: 11.04.2016; Published online: 02.06.2016. *Corresponding author. E-mail address: pelykh@i.ua. Abstract: Considering the fuel assembly (FA) load history and the nonuniformity of energy release for the fuel elements (FEs) contained in this FA, a method for forecasting of probability of VVER-1000 FE cladding failure due to FE cladding deformation damage accumulation, has been developed. In the case of four-group damage distribution model, the maximum value of damage parameter accumulated in a four-year fuel campaign is approximately twice greater comparing with the one-group model. A FA rearrangement algorithm characterized by exceeding of the limiting value for cladding damage parameter and the safety margin for VVER-1000 operation, has been found. The thesis that the value of FE cladding damage parameter plays an important role in estimating the limit state of claddings, has been proved. The condition of FA rearrangement algorithm admissibility and the criterion of minimum cladding failure probability which can be used in a control system insuring the hermeticity of VVER-1000 FE claddings, have been derived. Keywords: VVER-1000, fuel element cladding, criterion of minimum cladding failure probability. 14. S.N. Pelykh, M.V. Maksimov, M.V. Nikolsky. A method for minimization of cladding failure parameter accumulation probability in VVER fuel elements. Problems of Atomic Science and Technology. Ser. 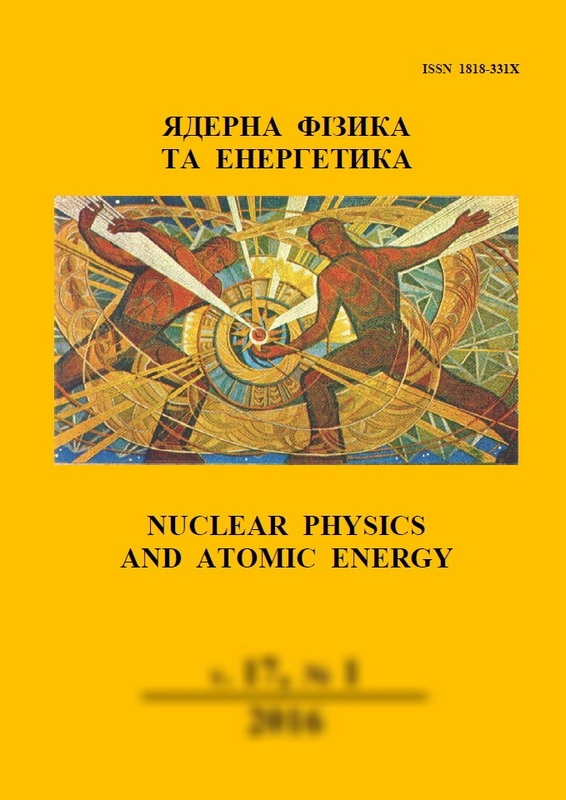 Physics of Radiation Effect and Radiation Materials Science 4 (2014) 108.